This is going to be another one of those updates where I forget to talk about something I would have wanted to go on about, so let’s get to forgetting. I hate liking games so seemingly content on destroying themselves. Red 5 continues to toss out baffling decision after baffling decision, the current “bwuh” of the month being their decision to completely remove… REMOVE PvP from the game until they decide it’s time to focus on it. So yes, rather than let their players warm up to the mode, or listen to player feedback about what they’d do to improve it, they decided to take their Jetball and go home. Considering, as I said in the video, the game was originally designed to be PvP ONLY, and this idea of an open-world co-op shooter was tacked on later, this is one of the most confusing decisions I’ve seen out of a developer yet. Speaking of, there are a lot of people claiming I was off about the community, and they’ve never seen that side of people in the game. Maybe your server bracket is really lax, or perhaps you just don’t pay as much attention to it, but that doesn’t mean it’s NOT happening. I’m not the only one who felt this way about the people playing this. Would you rather I relay my most recent story about a player trolling the chat in Copacabana, claiming his frame/class to be better than another, then refusing to use the stock arsenal of that frame when dueling people, because he didn’t want to play on an even field? My theory is thus, if you don’t think there’s a problem with the general community, it’s because you don’t notice, don’t care, are extremely lucky, or… you are that side of the community. Do you honestly think that bullies realize they’re bullies? They’ve already made up dozens of excuses in their heads to justify their behavior, and they don’t see what they’re doing as “wrong.” You’d be surprised how often that same principle applies. If Red 5 wanted to actively KILL their game, they’d make it an open world PvP shooter. There’s no factions, mind you, so this means that ANY person on the map could turn their gun on you can kill you, and when you consider that Snipers will almost always one-shot a player, and the sheer amount of immediately unreachable places you could hide, it’d be a griefer’s paradise, and no one would be able to play normally. Said people who insist they know the truth have recently switched to saying that it will have specific map areas where players would compete over rarer resources… ok… That’s still not “open-world” PvP, ya know. Whatever the hell is going on over there, I hope they figure it out before I really feel like that Founder’s Pack was a complete waste of money. I guess what I’m really trying to say here is- Did you see that?… on SIN. Some kind of weather effect? God I love broken games. There’s a charm about any title that does something wholly idiotic to amusing effect that makes you want to pat it on the head and say, “There, there, Wushu. At least you tried.” Even when it does something less cute, I can’t get overly enraged at it. “No, Dragon’s Prophet. No! Don’t crash on me… stop locking up my inventory slots! Look what you did! …aww, I can’t stay mad at you.” The key being in the last sentence, for the first puppy/child analogy, “At least you tried.” I stand by the fact that I can wholly respect a game that’s at least trying to be different. People look at DP at face value and immediately go, “Oh, such a WoW clone. Oh, they took that from TERA.” and while I honestly CAN’T figure out where these people are coming from, I at least GET it. DP has a pretty generic setting overall. It’s fantasy. It has dragons, wizards, goblins… zombies? Well, undead is a common staple. It what it’s doing with all of these that brings it to a more interesting light. Yeah, it’s a fantasy setting, but you can ride, train, battle with, and collect dragons of various “dragon-ness” throughout the land. Half the fun of exploring is discovering what dragons are available and what skills they possess. Any game that grants you a flying mount nearly out of the gate is something worth notice at the least. Yeah, it’s an action combat system, but it combines the systems of TERA, DCUO, Vindictus and others to create an experience all it’s own. It’s a game that makes you go, “Holy crap, I didn’t know I could do THAT” at nearly every step of the journey, and just when you feel you have a “rotation” down, the game tosses new enemies and new skills that make you rethink how you’re going to approach the fight. Yeah, it’s full of impractical/shameless outfits and Escher-women you can create with the aid of 5-7 breast focused sliders, but again, just because you can make a woman with gravity defying, torpedo-shaped 44H cups wearing a leather battle bikini doesn’t mean you HAVE to. With the right tweaking you can make your female Guardian a lithe, muscular warrior, or your Sorcerer a waifish, petite spellcaster…. or vice versa, It’s entirely your call. Outfits aren’t all horribly impractical, and even if you’ll find more than a fair share of “Long Pants” that are anything but, you can convert your favorite pieces to costume outfits, and have up to ten switchable sets of them. It’s not nearly as deep as Aion, but whether you want to make your character, male or female, a model or a monstrosity, it’s entirely your prerogative. Yeah, it’s a buggy mess, and it’s got issues that are still in need of repair, but it’s a fun title, I’ve actively playing and thoroughly enjoy. I’ll be getting episode 50 done fairly soon, but I’m expecting a serious backlash, considering it’s one of those “barely scratched the surface” titles, that’s going to have me missing a lot of detail. I’ll have to invoke the “newbie show/guide” clause again that everyone seems to miss/ignore. After that is the Halloween ep, which will be an official episode this year (like Hellgate was the first year). That’s all I’m saying about that. Hopefully I’ll have the time to finish before/on Halloween. Following that, I have nothing slated, but I’ll probably taking a bit of a break with what I’m calling the “Backtrack Block” where I’ll try to toss out a BUNCH of Backtrack videos with a week or two. While I have a few slated to look at, suggestions on what you’d like to see wouldn’t be entirely unwelcome. Just don’t… you know… do that thing. Finally, if you haven’t checked it out yet, I HIGHLY encourage you to take a look at the “Phoenix Project” on Kickstarter for their fan-made spiritual sequel/remake of City of Heroes titled, “City of Titans”. They’ve already hit goal, and have a bunch of plans for the future, so take a look if you’re interested, and I’ll probably write up a full blown post about it sometime before the project finishes its KS run. Stay tuned. Ok, let’s go back down the line and talk about what’s been going on. Yeah I talked about this in the last OWU but I had more time to revisit and reflect. They really REALLY need to hop on getting some sort of tutorial or help mode. I was showing MegaGWolf around the game and again getting completely frustrated by the lack of any… logic in the game. I’ve never played an FPS based game that felt it was a good idea to have hotkeys on the right half of the keyboard, but that’s Firefall for you. It also loves to give you tasks without any direction and often leads me into profanity laced tirades you might have seen on MegaGWolf’s Youtube channel. (This reaction might have also been fueled by alcohol and a marathon of “Bro Team” videos.) In essence, I want to like this but they need to get to work on it. No… no not really. You’re still inside a building and everyone moves at the relative same speed. Call me back when you’re playing CTF on a map and blink only to notice the flag has been snatched away and the person holding it is now flying off into the horizon over halfway across the map. If you mean “fast” as in, you aim at everything really quickly… turn down your mouse sensitivity. Idiots. Yep! THIS game again! I figured making this my first Backtrack, and seriously, I’m looking for feedback on the formula. I don’t want it to look like Sidequest. Should I add more text in places? Should I do the credits differently? Should I bother posting these on BT? 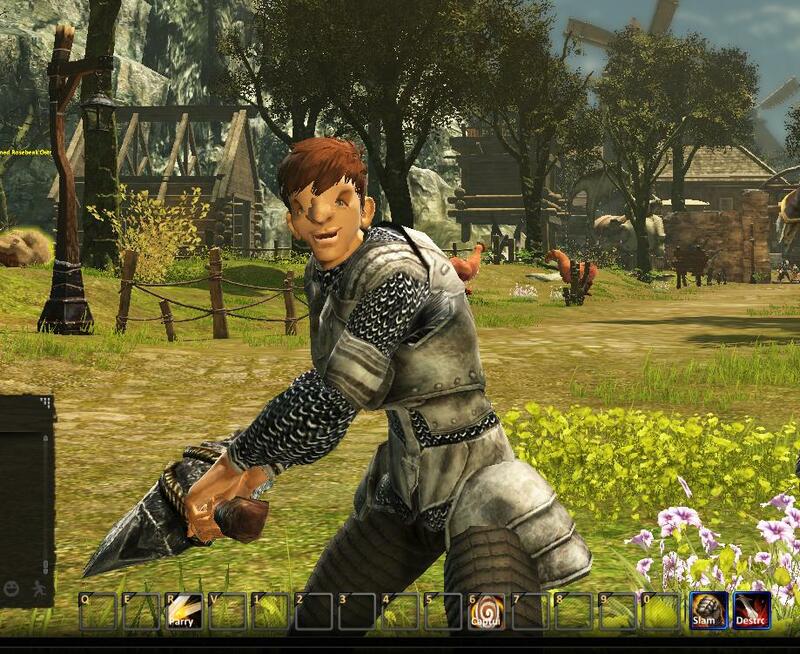 Upcoming Backtracks are Champions Online and Doctor Who: Worlds in Time. Seriously, let me know how you think they should be done. As for this Backtrack? Did I sound unenthusiastic? 5 guesses as to why. Also I had a sore throat. That’s why I sounded so deep in this compared to other videos I do. I was expecting another Firefall from the way people were… well bringing this game up when I looked at Firefall. It’s not. The ONLY thing this game has in common with Firefall is that it’s an FPS. These games are VASTLY different in playstyle, and are completely unique experiences. The Borderlands/Firefall comparison is much more accurate. Firefall has an overarching story, quests to perform, worlds to explore, with enemy encounters everywhere. Planetside 2 has PvP. That’s IT. I was very off-put initially playing P2, just because people had led me to beleive it was another Firefall. Once I figured out WHAT it is… well, let’s just say right now, I like Planetside 2 better than Firefall, but I really want to see what Firefall will BECOME, while Planetside 2 is pretty much going to be what it is. Two separate experiences. Don’t let someone try to compare them against each other as if they offer the same experience. As for personal news, I’m mildly concerned I won’t make the next episode in time. Side-job and all take away a LOT of my work time, but I’m going to try as hard as I can. 1. They want submissions on Youtube, and are basing the winner on number of likes received. 2. They want a Top 5 video, and it to be under 15 minutes. 3. They want the submitter to use their intro in the video. I’ve had a Top Whatever video idea for a LONG time (originally it was my intention to do THAT as my “pilot” for MMO Grinder. I could probably toss something together before the deadline, but do any of you think this is a good idea. In all honesty, I wouldn’t WANT to win. I like what I do here, and what I have going now. If anything, I can use this as some “advertisement” for the site and show itself.